The recipe for this cheesecake comes from two places. I used my usual cheesecake recipe for the filling from the Taste of Home. The apple part of the cheesecake was inspired from a recipe I clipped out of junk mail. The recipe is from Kelly Kirby of Westville, Nova Scotia. I used her topping and crust recipe along with some of her fillings into the Taste of Home Filling. I did have to double some of her ingredient measurements as I was making a much bigger cheesecake. All I can say is delicious. I managed to cut out a piece of this one for myself and I really enjoyed it. My husband's coworkers also enjoyed it. Or at least that is what my husband told me! In a bowl, combine the graham cracker crumbs, sugar, oats, and butter. Press into the bottom of a greased 10 inch springform pan. Place on a baking sheet. Bake at 325 degrees for ten minutes. Cool on a wire rack. I often line the pan with parchment paper. In a large mixing bowl, beat the cream cheese and sugar until smooth. Gradually beat in cream. Add the eggs; beat on low speed until combined. Next add in the cinnamon and ginger and mix well. Add in the apples and mix by hand with a large spoon/spatula. Return the cheesecake to the baking sheet. In a bowl mix all of the ingredients for the topping except for the apples.Cut the butter in until it is crumbly. Lay the apple slices on top of the filling. Then sprinkle the topping on top of the cheesecake. 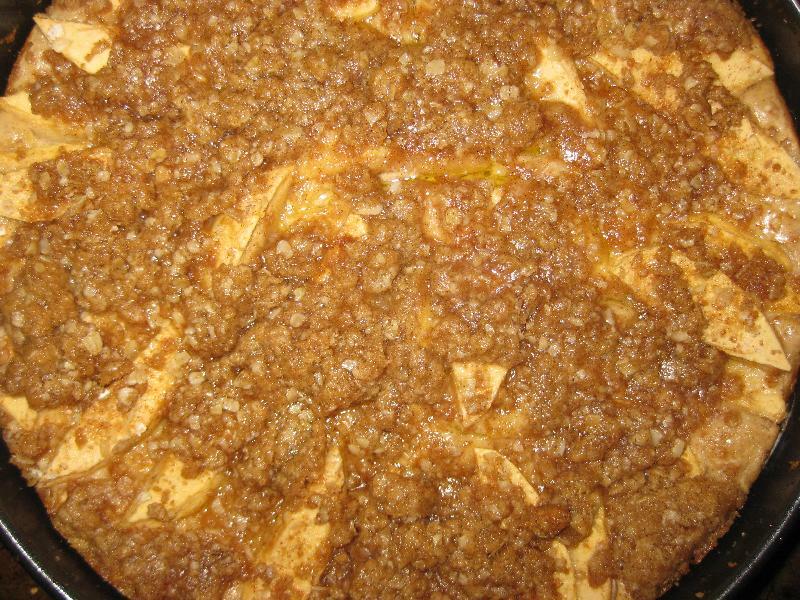 I loved eating this cheesecake and when I make it again I think that I will make more of a topping to put over the apples on top of the cheesecake. Heck I might even put more apples! 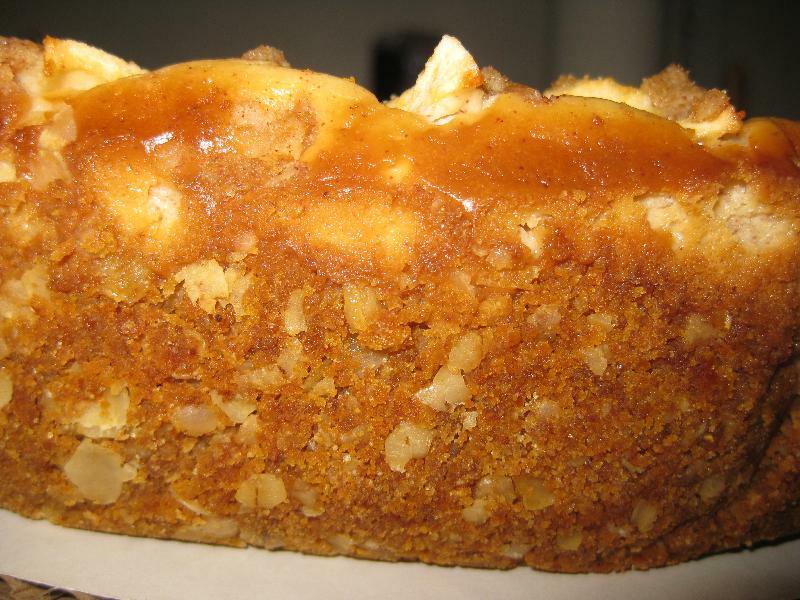 Description: Apple pie meets cheesecake! kml9876 : I must have forgot to add that about the butter. The recipe has been updated. anonymous : Real nice recipe didn't say anything about butter in the topping.